This is a tablet version of our eCAL software to run on compatible Apple iPad and Android tablets. Select styles, including Shadow and Blackout, to change the look of your letters and shapes with just a few clicks. 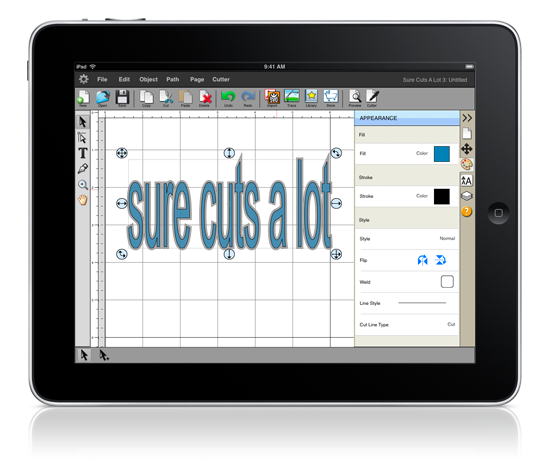 Cut additional shapes from the "Sure Cuts A Lot" Library. Free technical support and access to our professionally made video training series. ** Cutting via Bluetooth is supported on both iPad and Android with the Bluetooth eclips2 model.